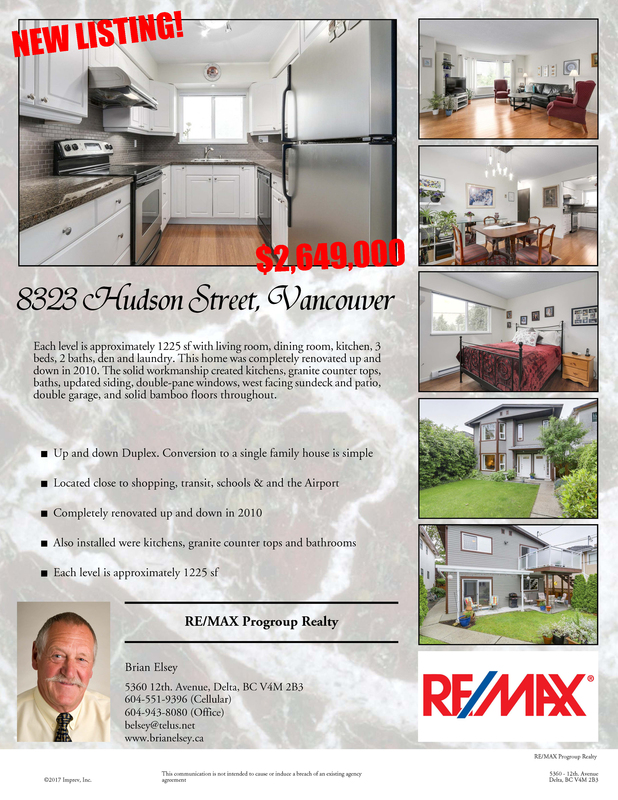 Open House 8323 Hudson Street, Vancouver, SAT & SUN June 10th. and 11th. from 2:00 - 4:00. This is an up and down Duplex which could easily be converted to a Single family Residence.